Panthers: CB James Bradberry, OT Michael Oher, CB Robert McClain, DT Vernon Butler, DT Paul Soliai, RB Cameron Artis-Payne, LB Jeremy Cash. Subscribe to Panthers Gab via RSS Feed or E-mail and receive daily news updates from us! 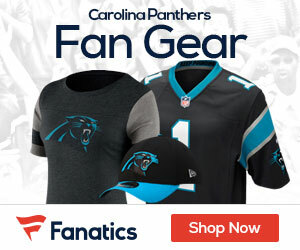 Sign up to receive our daily Panthers Gab newsletter, and keep up to date with all the latest Carolina Panthers news. Celebrity Seats has all the best Carolina Panthers Tickets, Charlotte Bobcats Tickets, and Carolina Hurricans Tickets!